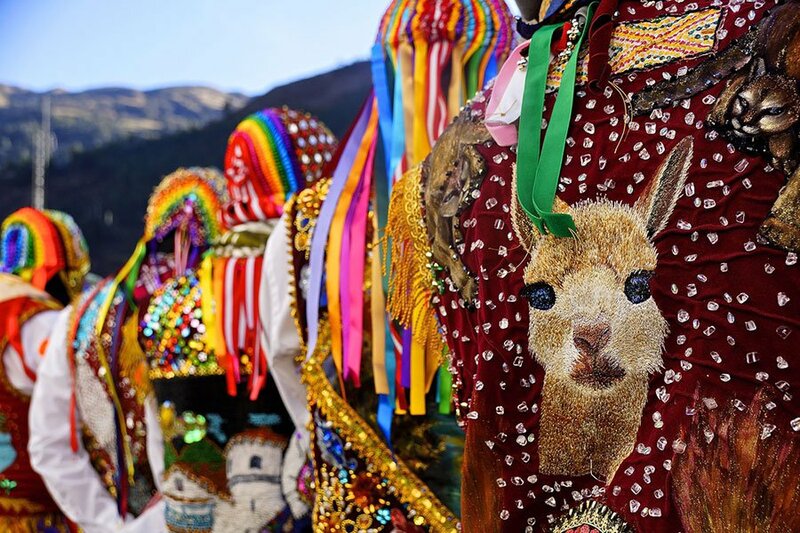 Colorful traditional costumes in Paucartambo. Photo by Denisse Sotomayor. A third-generation shoemaker from Peru doubles as a passionate ambassador for the quirky, unexpected gems hidden around her country — from highlands to rainforest. PERU – My grandfather immigrated to Lima from Italy after World War II and began the family business — creating shoes that meld Italian artistry with Incan handicraft traditions. My handmade leather brand, Huma Blanco, launched in the United States in 2016. All of my materials are sourced locally and constructed at a handmade factory in Lima, the largest in the city. Put on a pair, and let's get going. There's a lot to get to in Peru. What a funny mask! Photo by Denisse Sotomayor. Paucartambo is a small town in the middle of the Andes just a few blocks wide. The white walls that surround the city contrast beautifully with light blue balconies and narrow alleyways within. Every year on July 16, the town erupts into the Festival of the Virgin of Carmen, a nonstop, three-day party with the most amazing fireworks. 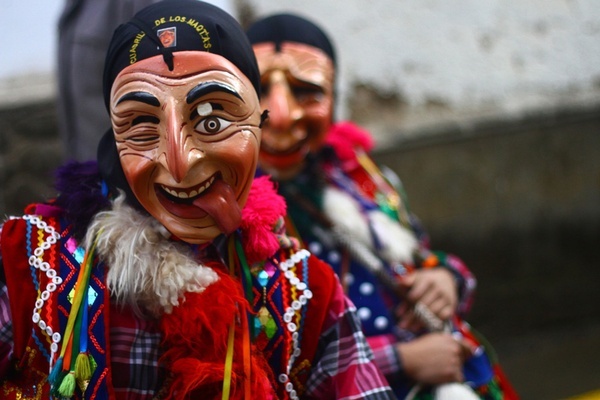 One might think that religious parties are not that fun, but this one definitely is. It's crowded and weird, the music is enchanting, and the costumes are crazy. (The fancier ones are embellished with Swarovski crystals.) Dancers jump from rooftop to rooftop dressed as lions, and an amazing choir and a parade of people walk around the town backwards to see the virgin. It's as insane as it sounds, one of those things that you need to see to believe. When I come, I like renting a room in a local family's home, as there are just few inns in town. An enchanted view of the sunset from Tres Cruces. Photo by Denisse Sotomayor. After a couple of days, when you run tired of partying at the Fiesta de la Virgen del Carmen, take a two-hour trip (buses run regularly) to Tres Cruces, a balcony in the Andes overlooking the Amazon rainforest. This spot is regarded by many as the best sunrise in the world, a natural phenomenon offering multicolors, halos, and double images that make the trip truly magical. 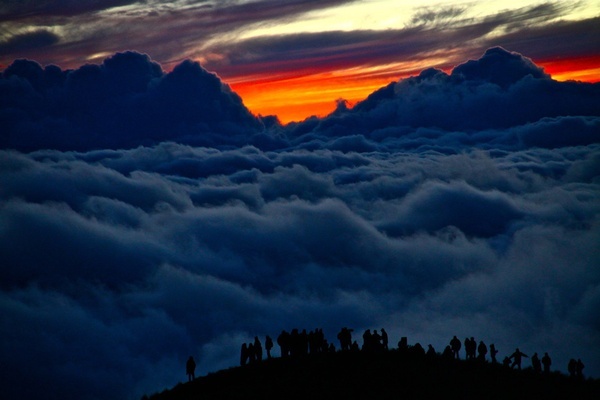 Waiting for the sun to rise through a white carpet of clouds covering the rainforest is a breathtaking experience. Lake Sandoval. Photo by Pululante / Flickr. 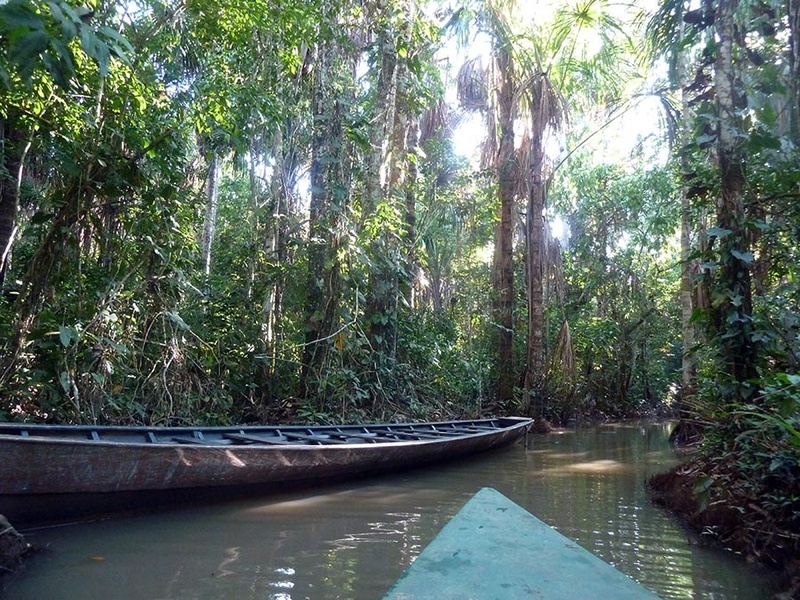 Close to the city of Puerto Maldonado in the Madre De Dios region of Peru is a lake in the most desolate part of the country — right in the middle of the Amazon. It's only accessible by foot — motorboats are prohibited on the lake. Your senses are awakened. It is so peaceful it's almost overwhelming. You'll see black caimans (alligator-type reptiles), giant otters, and an astonishing number of ridiculously beautiful birds who come to hang out here. Enjoying beers at Paddy's Irish Pub. Photo by Adriana Crocco. The highest Irish Pub in the world (altitude: 11,150 feet above sea level) is owned by an Irish guy and located in the Plaza de Armas in Cusco, Peru's most enchanting Andean city. Paddy's is like a traditional pub that you could probably find anywhere in the world, with wood-paneled walls and standard Irish fare. But when you peek out through the windows and see the main square of Cusco — the imposing cathedral and the mountains and the balconies and the old Inca walls — well, you really feel like you are existing in two places at once. You just want to stay there all day feeling cozy and happy looking through the window. Paddy's is best appreciated in the afternoon, when the main square is bathed in a sunset glow and frosty beers line the table. Just remember that at 11,150 feet above sea level, even one or two beers can get you drunk, so take it easy! Traditional and cozy restaurant. Photo by Thousand Flavors / Flickr. 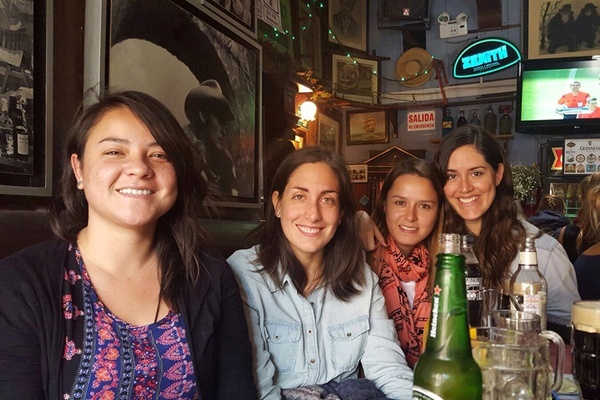 It is ironic that one of the best seafood restaurants in the city of Lima is owned by Vicente, an Argentinian guy from Buenos Aires, a city known for meat. 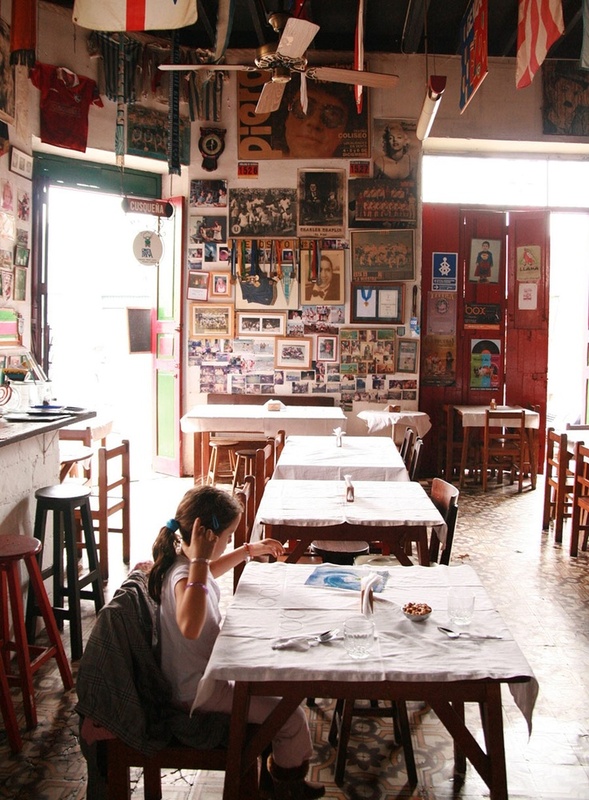 Canta Rana is located in a traditional house in Barranco, an old neighborhood in Peru's largest city. The walls are decorated with South American soccer trophies, jerseys, and photos, as well as other Latin cultural references. This place is full of contradictions. It has such an amazing vibe. The food is served in metal dishes on old wooden tables: It feels like you're eating in a fancy garage or a man cave. Everything is fresh and available in personal combos, making it a great choice if you are dining alone. You can try a ceviche, tiradito, Peruvian avocado, and chicharron on one plate. Vicente named a dish Guardia Imperial because it's what he would serve the Queen of England if she ever dined at his restaurant. She hasn't yet, but if she did, she would be licking her fingers. Gotta love the vibe. Photo by Dedalo Art & Handicraft Store. 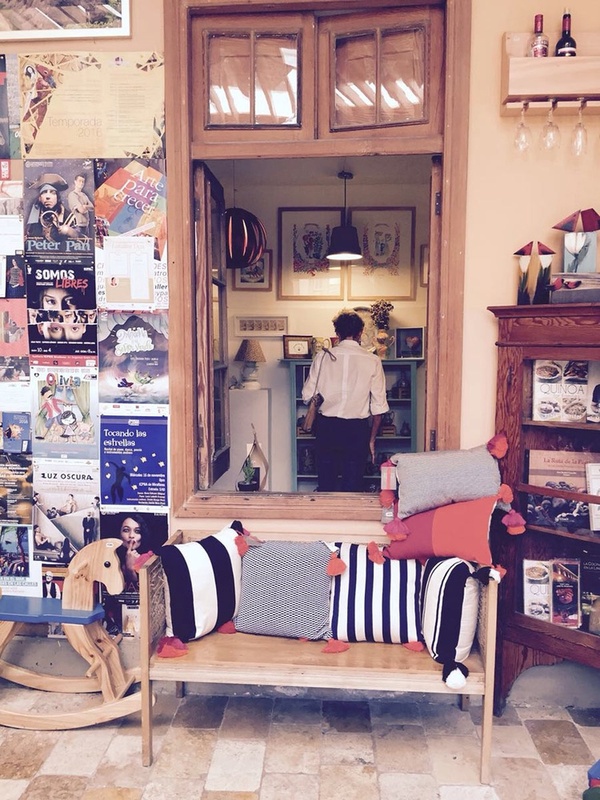 The iconic store in Barranco is a five-minute walk from Canta Rana. The Peruvian equivalent of Corso Como 10 in Milan or Colette in Paris, it stocks a wide selection of unique handcrafted and artsy pieces made by local artisans, artists, and designers. Even though the selection is a little crowded, shopping here makes you feel like you found a hidden treasure. It's one of my favorite places to buy decor for my apartment. The store has a lovely coffee shop in the backyard and is located a block from the most breathtaking Pacific Ocean view. Adriana Crocco lives in Peru and is a third-generation shoemaker. Adriana enjoys traveling to experience a culture and enjoy local food. Follow her at @huma_blanco on Instagram. She travels for the ridiculous views.